For my dear friend, StephSim. I'm usually not big on requests, but when it's an old friend asking for a favor, how can I say no? 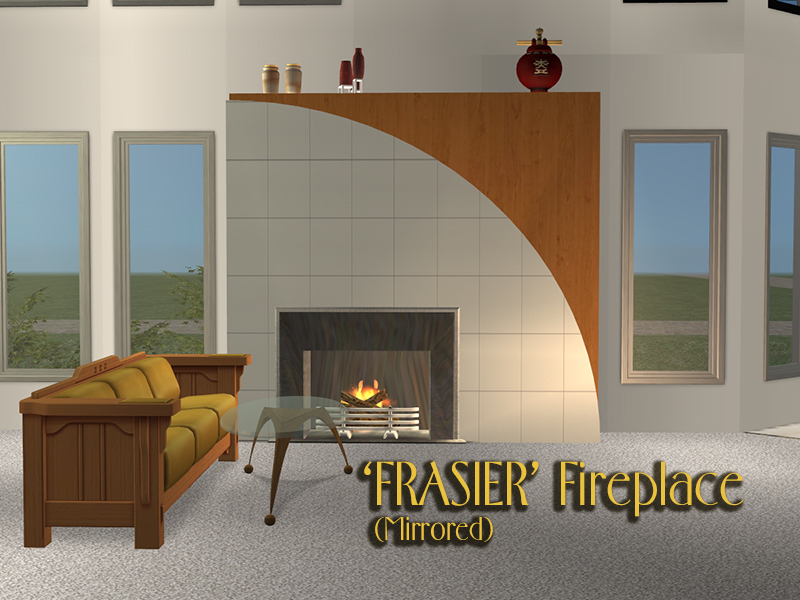 I present a simple, clean-looking modern-ish fireplace, inspired by the hit sitcom "Frasier" and based on Numenor's fireplace template. It can be found under Appliences/Misc. and will set you back §500. It has three deco slots on top for various small bawbees and nicknacks (or taller objects if you remove the ceiling). The quarter-round and wood textures are recolorable. The mirrored object is slaved to the original object, so any recolors will work for both objects. There's only the one texture for each right now, but I've included recoloring templates for all you creative types who want to give it a makeover. Mission accepted and IMPRESSIVELY EXECUTED! Just wanted to shout out a bit of love your way for taking this on for me. This is my inspiration for the future piece, as I take my Simming in another direction. Thank you J! You are definitely among the most impressive Sim creators in my book. And while I LOVE your mad talent, I treasure you more. P.S. - Hopefully, when I chat you next, I'll have a small "surprise" for you. I looove this sitcom very much! Thank you! Wow I loved this show (own all seasons of dvd lol) thank you so very much! I'm so glad you both are finding this fireplace useful, as it is not something you typically think you will find at Blue Heaven. But, I LOVE it so much. It is one of my most treasured possessions already. Originally, I just wanted the white arch part and was pleasantly surprised with this gift. @Susan, me too about the dvds (Just started another Frasier marathon and we are in Season 3). Hi, all. I've been away for a bit and just got back. Thank you all for the feedback. 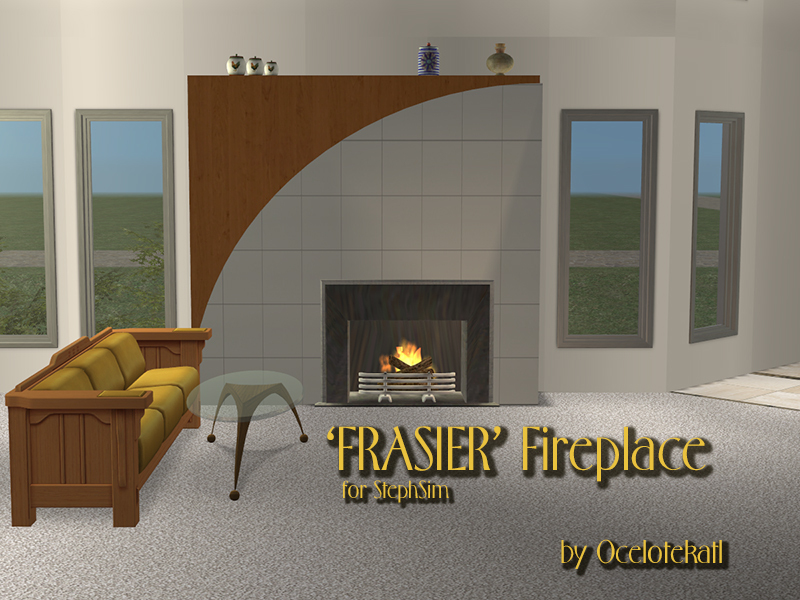 I absolutely loved Frasier, too. I really need to rewatch it start-to-finish again as soon as I find the time.